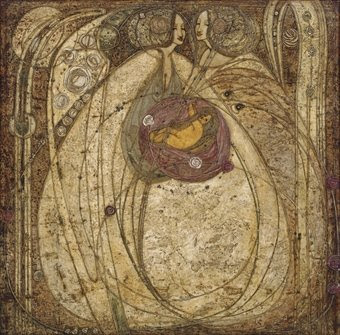 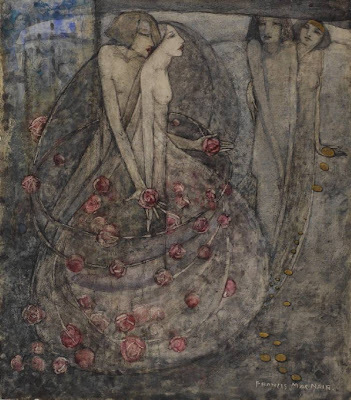 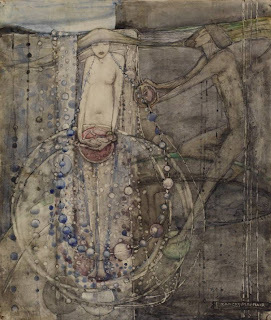 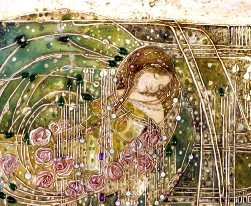 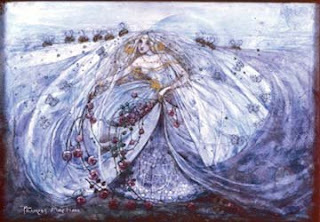 The MacDonald sisters Margaret MacDonald Mackintosh and Frances MacDonald MacNair along with both their husbands were known as the Glasgow School. 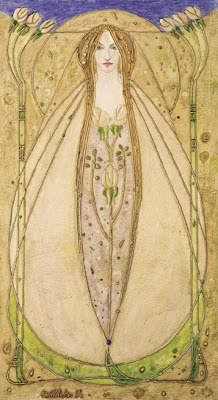 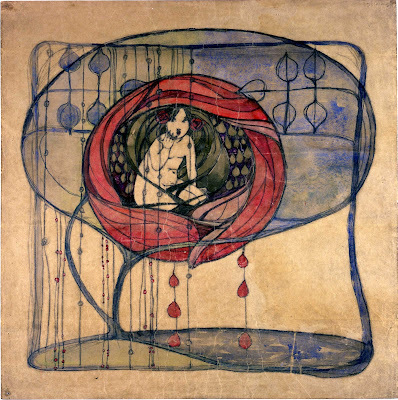 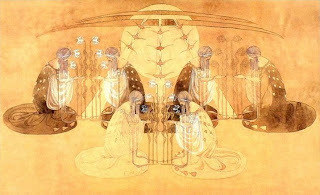 The four were a huge influence on the Art Nouveau movement. 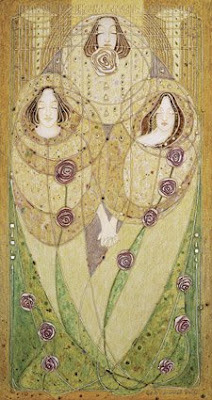 They are credited for being influential on artist Gustav Klimt. 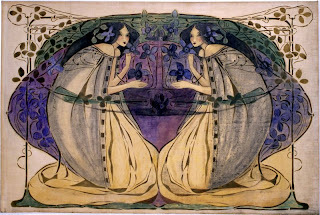 The girls works were often overshadow by the achievements of Charles Macintosh. 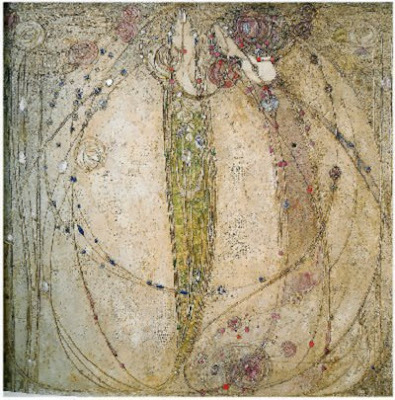 Both were truly fabulous artists creating beautiful complicated works that have relatively under appreciated.